UPDATE: CONGRATULATIONS to Marija Charlton, who has won the Reija Eden Jewelry giveaway. Marija, please contact me with your details and I will ensure your jewelry is sent to you. Thank you to all who have entered! And thank you to Reija Eden Jewelry for offering such a generous giveaway. Happy Memorial Day. Today we are giving thanks to our veterans who have given the ultimate sacrifice for our freedom. We honor you and thank you! In today's favorites video, I'm sharing some of my favorite finds for the upcoming summer season. I'm also doing my very first YouTube giveaway on my channel! I'm giving away a necklace and a bracelet from Reija Eden Jewelry. Reija Eden is a fan of both The Daily Connoisseur and the Madame Chic books, and she contacted me with the wonderful idea of doing this giveaway. The raw sapphire necklace is made with hand wire wrapped tiny raw sapphire stones and 14K rose gold filled chain. 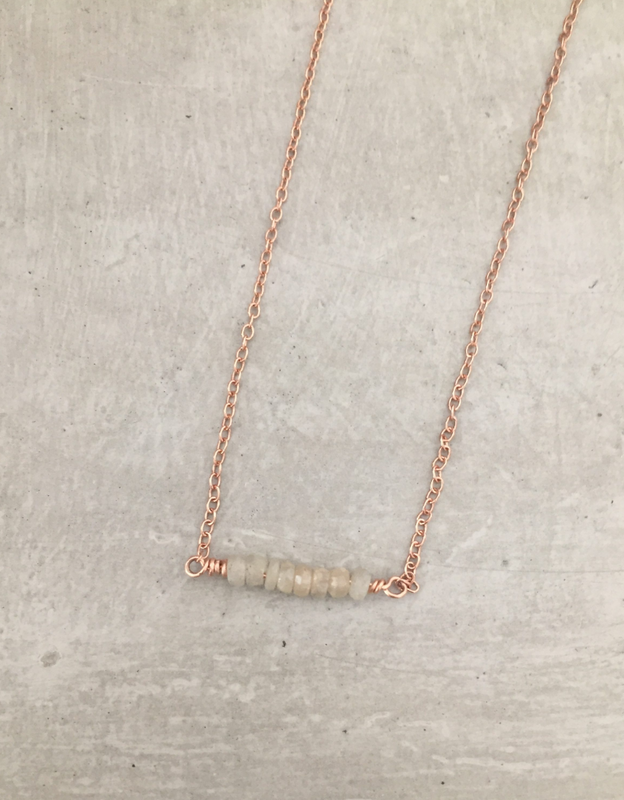 The necklace is a beautiful everyday piece and will instantly dress up any outfit. The grey, sparkly raw sapphires are combined with rose gold for a unique combination that is feminine and modern. The necklace is designed to let your inner beauty shine. The amazonite gemstone bracelet features genuine amazonite gemstones and is designed to be used as an essential oil diffuser bracelet. The amazonite gemstones have naturally occurring variations making each bracelet unique. No two bracelets are exactly the same due to the variation in the hues of the stones. The black lava beads can be diffused with essential oils for aromatherapy on the go. I used my doTERRA frankincense oils in them. Just use a drop or two of your favorite essential oil on the bead and enjoy aromatherapy while you wear the bracelet. 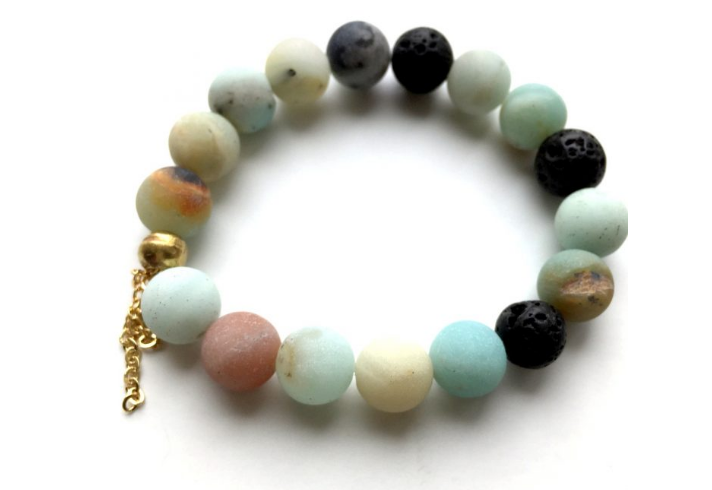 Amazonite gemstone and lava beads are said to have healing properties making the bracelet a great accessory to wear during times of stress and when needing calmness. Reija Eden Jewelry was founded in 2008 in effort to provide beautifully handmade jewelry that also makes a difference while helping women look and feel more beautiful and inspired. The company is centered around kindness and compassion and being environmentally conscious. Reija Eden jewelry pieces have been featured in the Glamour magazine as well as on the TV show SIX. Reija was chosen as one of the mompreneus of Parenting OC magazine in 2016. Reija is a mother of four children who is passionate about jewelry design and helping her clients feel inspired and beautiful while making a difference through charity work. Her designs draw inspiration from her Scandinavian roots, modern architecture, runway fashion and nature. Reija is also very passionate about holistic health and recently started designing essential oil diffuser bracelets as a request of her customers. They have become an instant best seller with the amazonite gemstone bracelet being the most popular design. Reija Eden jewelry pieces are designed for today’s modern woman who is balancing the hectic everyday life while wanting to look put together and be ready to take on the challenges. You can find Reija Eden jewelry on Facebook, Twitter, Instagram and Pinterest. 1. Be subscribed to my YouTube channel. To subscribe, simply click the red "subscribe" button. If you'd like to receive notifications by email when a new video goes up, click the "bell" and follow the prompts. I often post my YouTube videos a few hours before the blog goes up. 2. 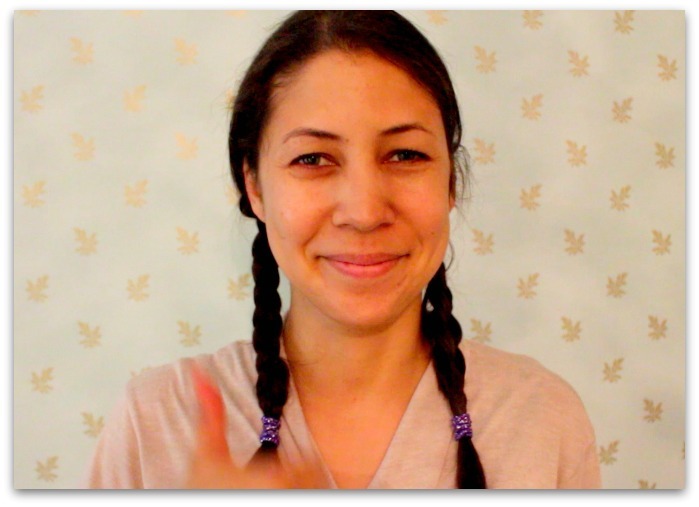 You must leave a comment on the YouTube video sharing your top three "favorites" right now. The winner will be chosen by a number generator and announced via video two weeks from now. 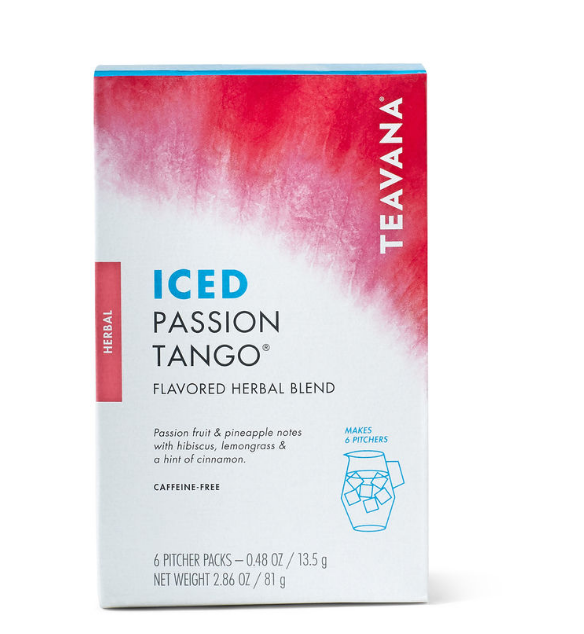 Teavana Passion Tango Iced Tea This was the drink I had in the hospital after giving birth to our son and I've really loved it ever since. It's a really refreshing, non-caffeinated iced tea that tastes great without sugar. 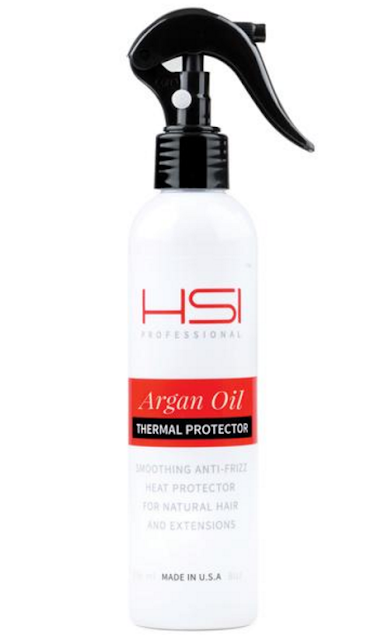 HSI Argan Oil Thermal Heat Protectant Spray I've been looking for a heat protectant for some time now and I really like this one. Amope Foot File I do my own pedicures, and this foot file really helps to remove the dead skin from your heels. I use it on dry skin and then lather with cream. 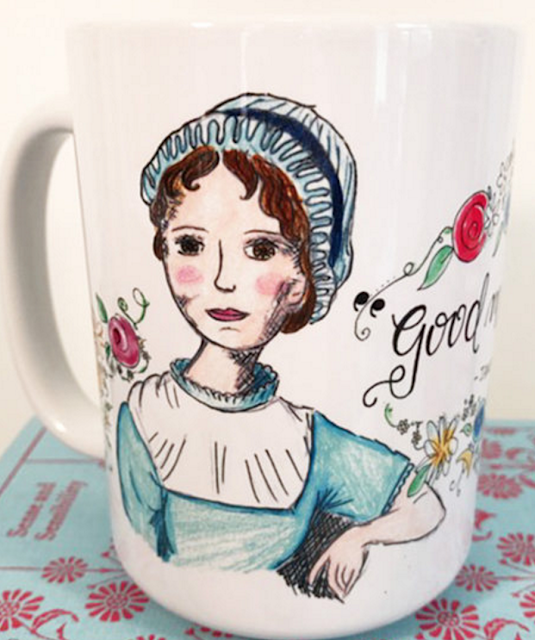 Carrot Top Paper Shop Jane Austen Mug I adore Jenny Williams and her etsy shop. Her new Jane Austen mug is so darling and would make a fantastic gift for any Jane Austen fan! 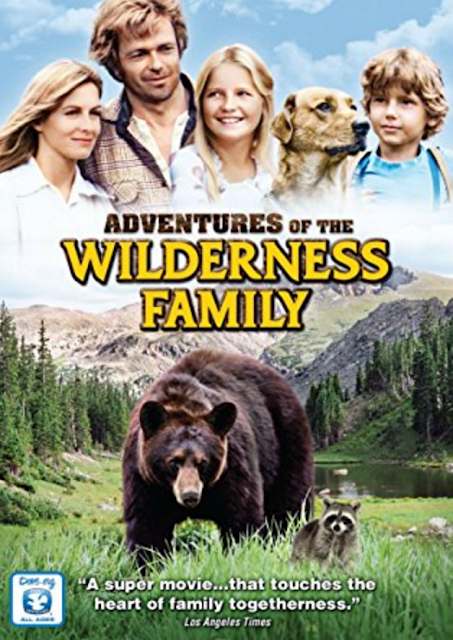 The Adventures of The Wilderness Family Trilogy It's hard to find wholesome family movies that aren't crude and dumbed-down. This trilogy from the 1970s is truly good old-fashioned fun! Polish Your Poise with Madame Chic has now been released in Japan, along with the paperback edition of Lessons from Madame Chic. Thank you to the Japanese readers for your incredible support of my books! The cover is by Annika Wester, Translated by Akiko Kansaki and published by Daiwa Shobo. Regarding The History of Makeup post, Julia G writes: Thank you for reviewing this book! To the best of my knowledge as a former history teacher, the fixation of women aspiring to have fair skin was based on economics. Namely, if you were fair skinned, it meant you spent your time indoors and did not work outdoors where your skin would get tan from the sun. Beauty is in the eye of the beholder. I started using Jergen's Natural Glow because I am so pasty living in Alaska. It makes me look healthier, I think. The grass is always greener, right? ;-). Hi Julia, I enjoyed reading your perspective as a former history teacher. I always find the trends in beauty over long periods of time to be very fascinating! I hope you enjoyed my favorites today and that you will enter my giveaway for the jewelry. The giveaway is open worldwide so all can enter! See you over on the YouTube channel. 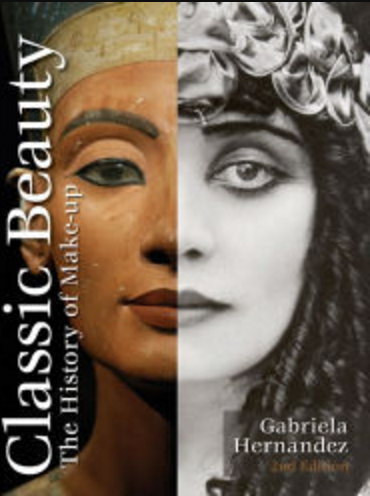 Today, I am reviewing Classic Beauty: The History of Makeup by Gabriela Hernandez. Ms. Hernandez is the founder of Besame Cosmetics, and has created a guide to makeup all the way from antiquity to modern day, full of beautiful full-color images and pictures of vintage makeup. The definition of a beautiful face has never been constant. See how political and social climates have molded accepted beauty rituals and the evolution of cosmetics from ancient times through today. This updated and refreshed reference book chronicles historic trends for the eyes, lips,and face, and offers in-depth aesthetic reviews of each decade from the1920s to today. Follow the fascinating history of cosmetic trends vintage ads; detailed makeup application guides;and profiles of famous makeup innovators, connoisseurs, and iconic faces. Over 450 images, timelines, and detailed vintage color palettes show the changing definitions of beauty and document makeup innovations(the first mascara, lipstick, eye shadow, etc.) that have evolved throughout the history of cosmetics. This is an ideal reference for the professional makeup artist, cosmetologist, educator, student, and general makeup enthusiasts. This book will provide hours of interest to the makeup enthusiast. I particularly enjoyed the section on Victorian beauty as the Victorian era is my favorite in history! The two Victorian books I mention in my video are: How to be a Victorian and Inside the Victorian Home. Please note: There is a discrepancy in the timeline on page 30, as Queen Elizabeth l died in 1603, but the timeline references her in 1630. I contacted the publisher about this and I have a statement from Ms. Hernandez on the matter. I asked if the timeline implies that Queen Elizabeth l 's influence for makeup came after her death. "Yes, the idea is that makeup was popularized by her influence, not necessarily just during her life. These movements take time, and popular opinion and customs change very gradually, in decades of time. Thank you for pointing that out." I appreciate Schiffer publishing and Gabriela Hernandez's response to my query! I hope you enjoy taking a look inside Classic Beauty in today's video. 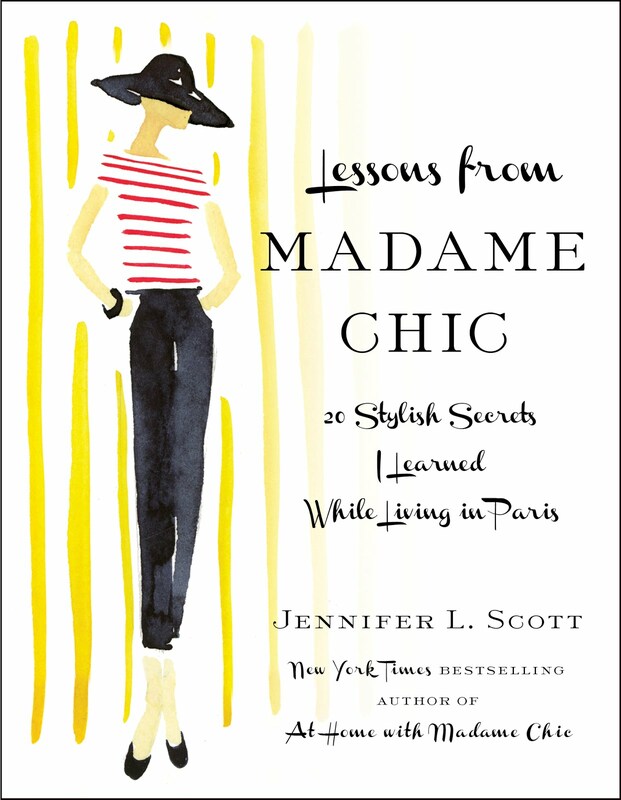 Off the Shelf lists Lessons from Madame Chic as one of 7 Books for Unabashed Francophiles. 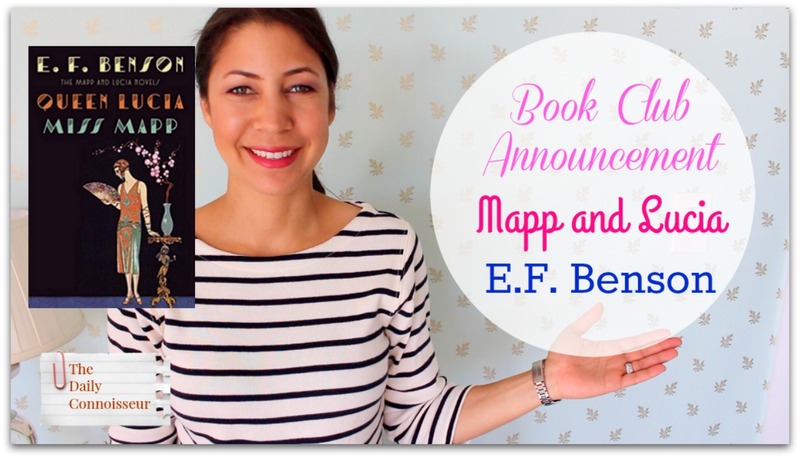 Join our E.F. Benson Mapp & Lucia book club! It's not too late to start to read the books. Gather your questions as in an upcoming post I'll be taking your questions you'd like to discuss in the book club. Hi Jennifer, This was honestly one of my favorite videos you've posted on The Daily Connoisseur. I have three very small children and have been wearing my hair lately in a top knot most days of the week. (So much so that my three year old started drawing my likeness with a top knot, haha.) I felt if I didn't have my hair or makeup done nicely, I couldn't put on nice clothing. This past week I've been trying a little harder and remembering that washed hair in a topknot and presentable clothes are better than the alternative. This video gave me so much encouragement in continuing. Also, thank you for the tip about the cookie batter! Hi Lauren, I loved your anecdote about your daughter drawing the top knot. That just goes to show that our children are paying attention to how we present ourselves, whether we know it or not! Thank you to Schiffer Publishing for sending me Classic Beauty: The History of Makeup to review. My favorite era is the Victorian period. Today, I would love to know what your favorite time period is in history for beauty and fashion and your comment could be chosen as comment of the week on the blog! First, I showed you What I Look Like at the End of the Day, and now it's time for me to show you what I look like in the middle of the day. What's going on this afternoon? The dishes need to be done, the kitchen needs to be cleaned, I have a roast in the slow cooker and cookies fresh out of the oven. It's gloriously messy, comforting and joyful all at the same time! Running a home can be stressful and overwhelming, but enjoy the process (that is what being a daily connoisseur is all about!). It will not be pretty. You and your home will not look perfect, but you can take pleasure in the journey. Here is my chocolate chip cookie recipe. I keep the dough in the freezer and make it in small batches. I like to make 6 - 8 cookies at a time. This is perfect for when unexpected guests arrive. Preheat oven to 350 degrees F. Cream together the butter, white sugar, and brown sugar until smooth. Beat in the eggs one at a time, then stir in the vanilla. Dissolve baking soda in hot water. Add to batter along with salt. Stir in flour, and chocolate chips. Drop by large spoonfuls onto ungreased baking sheet. Bake for about 10- 14 minutes in the preheated oven, or until edges are nicely browned. Delight in the pleasures of the afternoon, no matter how messy and work-laden they are. For more on the pleasures of the afternoon, check out my book, At Home With Madame Chic. I hope you'll join me for the Mapp & Lucia Book Club. We will be starting at the end of June. Write down your questions so I can answer them in my upcoming videos! A cup of tea, a bar of chocolate and Lessons from Madame Chic. What a perfect evening! Lanasartstudio has drawn some of her favorite inspiring books and Madame Chic made the cut! Here is my after-cooking report. My family loved this dish! There was nothing left at the end of the meal. My teenage son ate two large servings. I'm so glad you're giving curry to your baby. He will have a sophisticated palate when he is older. Like Julie, I used coconut cream in place of the yogurt. To cut down on the fat, I also sauteed the onions in veggie broth instead of oil. The veggies I used were zucchini and summer squash. We've only been vegan for a couple months; so we are still firming up our favorite recipes. This is definitely one of them. For those who may feel intimidated by all the spices, I don't think it's absolutely necessary to use every single spice. I substituted powders for the pastes and skipped the garam masala since I didn't have it. The curry was still fantastic. Alexandra, I'm so happy your family loved the recipe and you were able to adapt it to your needs. Wonderful! Today I would love to know... what do you have going on this afternoon? What are your pleasures of the afternoon? Let me know and your comment could be chosen as comment of the week on the blog! See you Thursday for a review of a new book discussing the history of makeup. I absolutely love curries. I spent some time traveling in Sri Lanka right after college with one of my dear friends who is from the region and there my love of curries was born. I have always enjoyed cooking curries at home, but my recipes have never been very authentic. I would make simplified "western" versions. My versions taste good, but I was truly seeking an "insider" curry recipe. I reached out to my friend Mina Irfan, from The Universe Guru YouTube channel to see if she would share one of her authentic Indian/Pakistani recipes with me. Mina was more than happy to oblige and we had great fun collaborating on this post. She shared a base chicken curry recipe with me. She said this is the type of standard recipe that Indian mothers pass down to their daughters. I feel so special to have received this recipe and am happy to share it with you now! Fry onions in oil to light brown (If using already fried onions just heat them for 30 seconds and move to next step). Add ginger, garlic paste, yogurt, coriander powder, chili powder, turmeric powder, tomato, and salt. Add cinnamon stick (which will need to be removed before eating). Mix it and let it cook for 30-35 minutes till the chicken becomes tender and meat starts separating from bone easily. I covered the pot with a lid to allow the chicken stay moist and added one drinking glass full of water to thin out the gravy.Garnish with green chilies, green coriander (Dhaniya) leaves and garam masala, cilantro and lemon juice. Serve with naan or basmati rice. Enjoy! 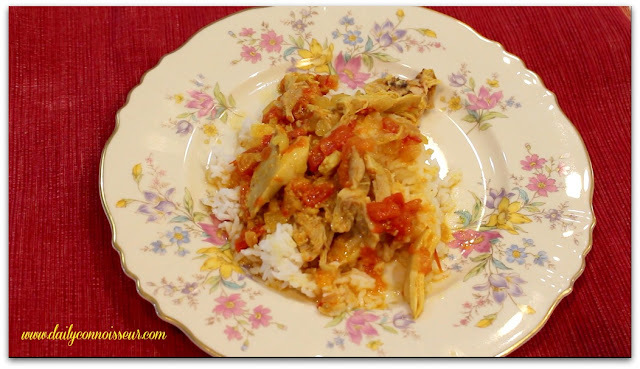 Check out Mina's channel, where she will be doing crockpot versions of Indian favorites. You can watch her video here. 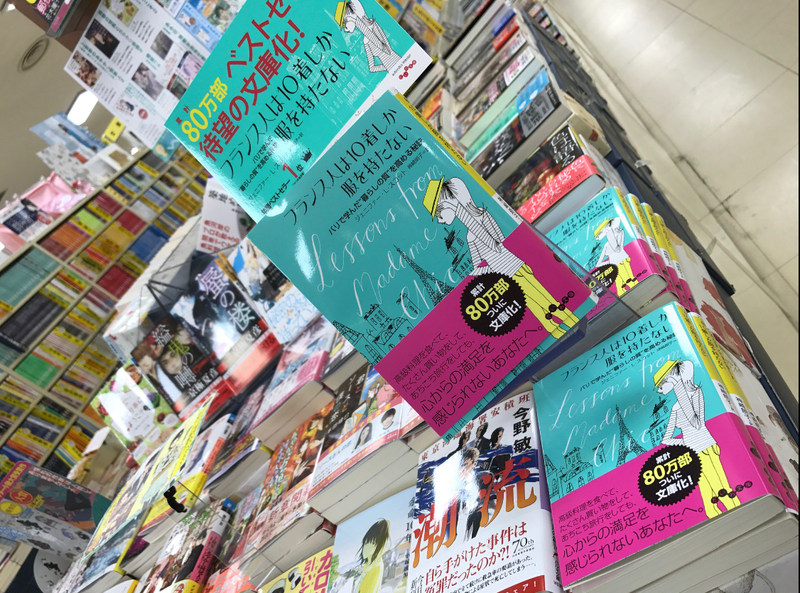 Also, Mina is a big fan of the Madame Chic books and is hosting a giveaway of Lessons from Madame Chic on her channel. To enter, you must be subscribed to both of our channels and leave a comment on her video telling us your favorite Indian /Pakistani recipe. Mina will announce the winner on June 1st. Thank you and best of luck for the giveaway! Mr. Connoisseur and I celebrated 11 years of marriage on Monday. Thank you to all of our social media friends who wished us well! On Monday's Minimalism post, Jan B writes: Hi Jennifer, I enjoy your videos and books. After watching "Goodbye, Things", I thought of two other reasons to motivate someone to scale back on things. The first is do it for those who come behind you. My daughter had to clean out two houses of relatives of her dad's who passed and it was overwhelming and time consuming. It is also very difficult to throw away things that belonged to someone you loved, and yet much of it is clutter. I am retired and I never want my children to have to clean out attics and garages full of stuff for me, so I am slowly getting rid of it. The second reason is moral. I am so blessed to have all that I do, but if I am not using it and just storing it, someone else may need it more than me. Anytime I buy something new, I give the old one away to charity. Wherever you live, there are organizations that could make good use of slightly used clothing, furniture, toys or appliances. I am definitely in the "Less is More" camp. Hi Jan, I completely agree with you! I think most of us have stories of loved ones who hold on to too much. You make some great points. Thank you for watching today's video. I would love to know what your favorite curry dishes are. Let me know in the comment section below and your comment could be chosen as comment of the week on the blog! See you on Monday. 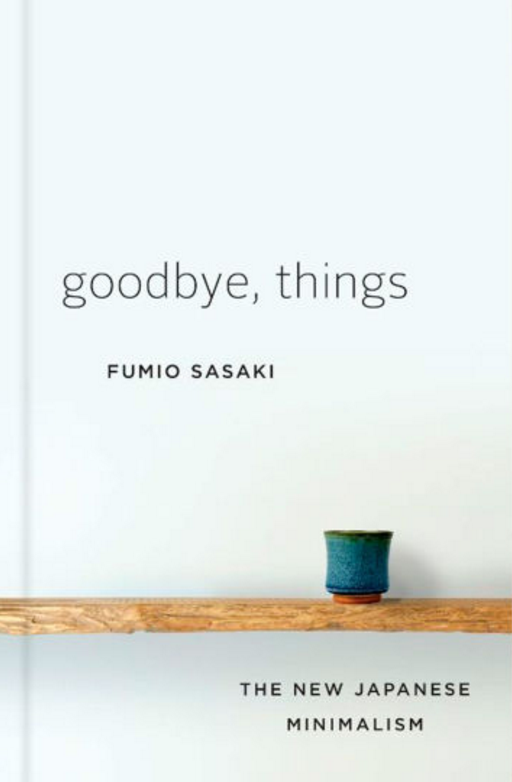 In today's video I share a book review for Fumio Sasaki's new book, Goodbye, Things: The New Japanese Minimalism. This book was sent to me to review by the publisher, W.W. Norton & Company. This was another great book to provide inspiration for de-cluttering the home in the same vein of Marie Kondo's Life Changing Magic of Tidying Up. I hope you enjoy my book review in today's video! Sarah Chaprobin writes about the ten-item wardrobe in her new post, 2017 Spring Capsule Wardrobe. Thank you, Sarah! My time saving hack has to do with housecleaning. I really hate dealing with mildew stain in the shower caulking because they do not scrub out. We live in Atlanta where there are humid, humid summers. Here is my effortless way to remove them: apply clear, gel, bleach-based toilet cleaner in the morning. Rinse out at night. The gel formula makes it stay on the stain rather than running off. The bleach clears the mildew. Do not use blue or colored cleaner, as it will stain your grout! I keep a bottle of toilet cleaner which I use just for this purpose. (It's Clorox brand.) I consider this my magnum opus of housekeeping hacks! Hello Margery, Thank you so much for sharing your tip with us. That is a great time-saver! I will definitely give that a try. I hope you enjoy today's video. I would love to know the status of your journey with de-cluttering and minimalism. Do you need help? Have you read Goodbye, Things? Let me know your comments below and your comment could be chosen as comment of the week on the blog. See you on Thursday for a fun recipe video/ collaboration! In honor of Mother's Day this upcoming Sunday, I am sharing 5 time-saving mom hacks. These tips could be beneficial for any woman, not just mothers. Many of these tips revolve around getting ready and taking care of yourself. 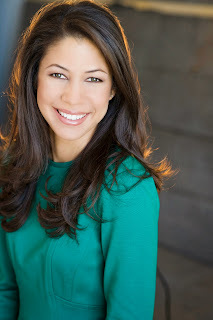 I chose these tips because, as moms, we often put ourselves last on the priority list. Soon as we know it, we've gone months without doing our hair, dressing up or even taking a moment to ourselves. If you practice taking care of yourself, it will eventually come naturally to you and it will take hardly any time at all! This video is a collaboration with two of my favorite YouTubers: Jennifer from The Family Fudge, and Kimmy from She's in Her Apron. Check out their 5 time-saving mom hacks and tell them I say "hello!". 1. Braid your hair the night before. If you like the effect of the curling iron, like I do, but have limited time in the morning (or want to lay off the heat, for the health of your hair) try braiding your hair in pigtails the night before. You can spray them with hairspray, if you like. When you wake up and take out the braids, you will have beachy waves. This texture is also great for creating updos, as your hair will have more volume. 2. Make Breakfast the Night Before. You know that I love to make breakfast the night before. I've already shared my overnight oats recipe, as well as my slow cooker apple breakfast cobbler recipe. Today, I share my favorite crock pot oatmeal. I've been making this particular recipe on a regular basis and it is so tasty. My baby especially loves this meal. 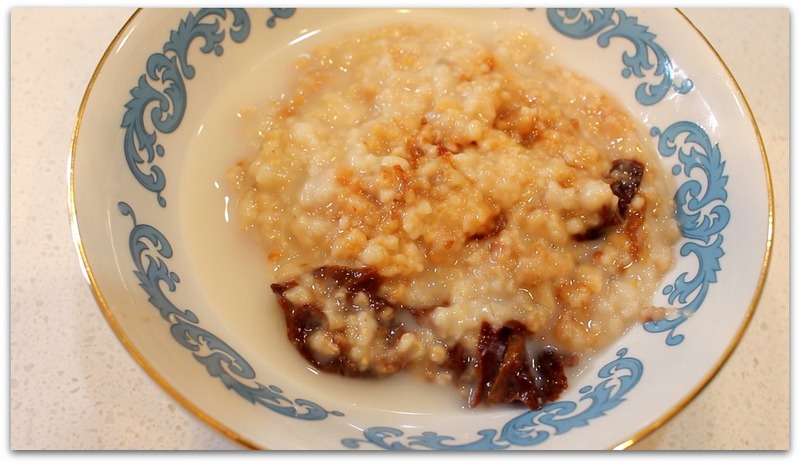 Place one cup of oatmeal (steel cut, or old-fashioned) in the slow cooker. Add 4 cups of liquid (I do 2 cups of almond milk and 2 cups of water) and 5 prunes. Turn it on low for 8 hours. When you wake up, shred the prunes and serve with a drop of milk. So delicious and requires no sugar! 3. Bathe or shower only once a day. Rather than bathing morning and evening, streamline it to once a day and you will not only save time, but resources as well. In today's video I share a funny story about the time Madame Chic required me to choose my bath time in Paris. I hope you enjoy my story! 4. Don't cleanse your skin in the morning. You do not need a complicated skincare routine in the morning. The only thing I do is splash warm water on my face and apply moisturizer/ spf. Forget all of the cleansers, exfoliants and other treatments. They not only take time, but they strip your skin of its oils. 5. 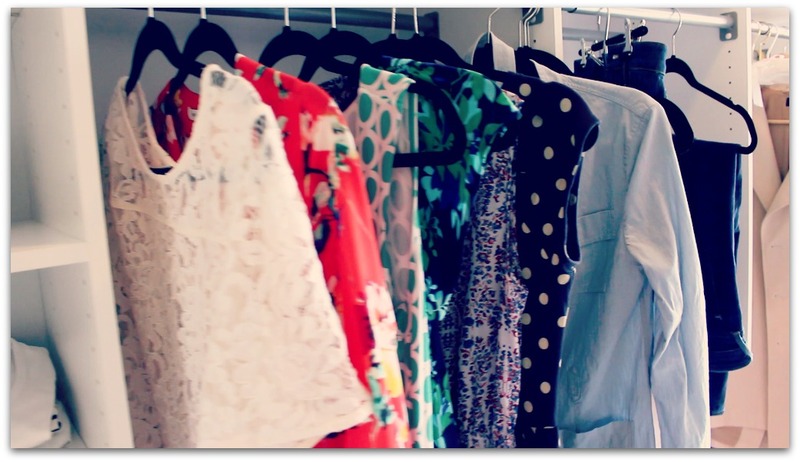 Clear the clutter from your wardrobe. Thousands of women can testify that the ten-item wardrobe not only saves you money, but time as well. How many hours have we wasted figuring out what to wear? Doing laundry for our endless wardrobes? Picking up after our clothes strewn all over the bedroom? The less garments you own, the less you have to deal with them. I hope you enjoy my video today! Happy mother's day to all of you lovely, inspiring moms. Remember, when you feel discouraged with the large task ahead of you each day, remember the raising of children is the most important job in the world! You are raising the next generation. Try to enjoy this season of life and take care of yourself accordingly. 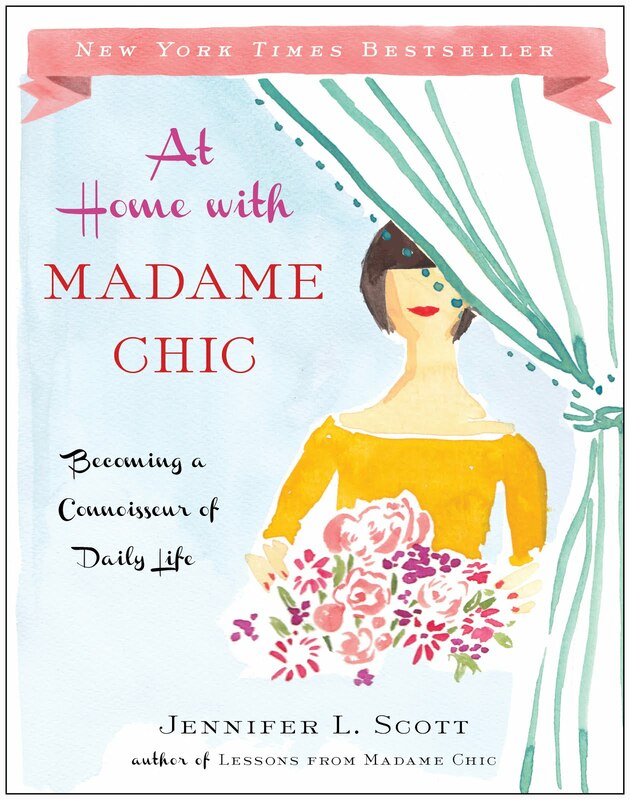 Organized Elegantly writes about the Madame Chic books in her post, Create a Morning Routine. 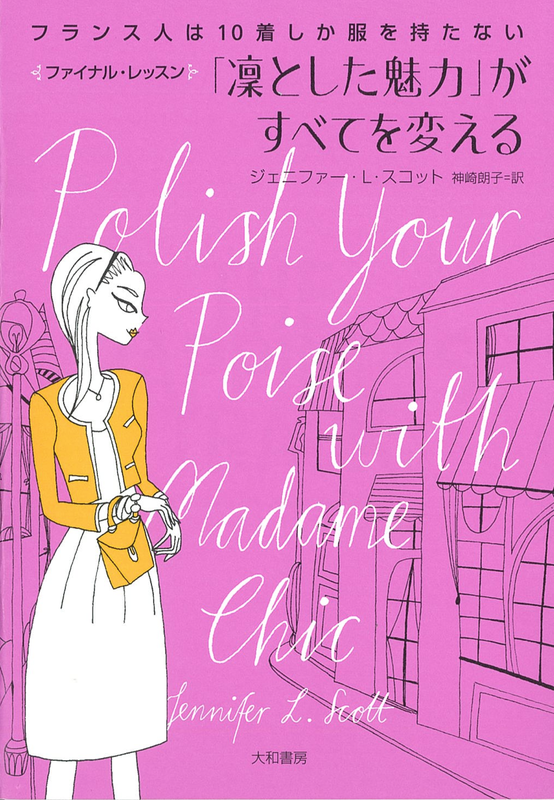 Izumi shares her copy of Polish Your Poise with Madame Chic on Instagram. Thank you, Izumi! Danson for Joy, that is so true. Not babbling and making excuses sure does enhance one's air of mystery. An added benefit of saying no with poise! Today I would love to know... what are your favorite time-saving mom hacks? Let me know in the comment section below and your comment could be chosen as comment of the week on the blog! Have a wonderful mother's day and see you on Monday! Do you have trouble saying no? I certainly do. Especially when I'm caught off guard. In today's video I share a story with you. What happened when I was approached by a spa salesperson while grocery shopping with my daughter? My answer at first wasn't very poised, but then I got assertive and I was in control of the conversation. Some people call it a "high-quality no", I call it saying no with poise, but truly, saying no is an art. If you worry about people-pleasing or pepper your response with a list of excuses, you will likely end up babbling and get into a conversation you don't want to have. Learning to give a firm, but polite, no is a great skill to have. I hope you enjoy hearing my story in today's video. I hope you will join me for the Mapp & Lucia book club at the end of June! Sherrie P writes: since I have found your channel and books,I don't feel guilty to try to dress better and treat myself with respect. I'm a plus size lady and you helped me to think I could look my best. Your 1st book really changed my life. Dear Sherrie, Thank you so much. I loved receiving your comment and am thrilled to hear that you are treating yourself with the respect you deserve! Today, I would love to know... do you have trouble saying no? Do you struggle with assertiveness? Do you have any funny stories you'd like to share with us regarding this subject? Any tips? Let me know in the comment section and your comment could be chosen as comment of the week on the blog. Part 3 of the reader Q&As continues today with a special appearance from Mr. Connoisseur at the beginning of the video. Have the books changed me? 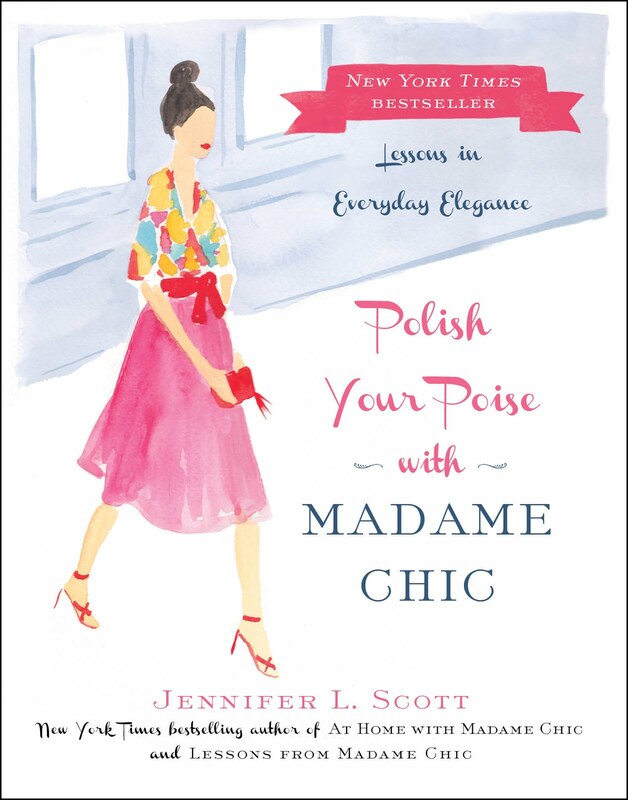 What do my friends think of the Madame Chic books? What should you do when you are in a bridal party and everyone around you lacks poise? How can I implement routines into my home life? All of these questions are answered in today's video plus much more. Amy writes: I grew up on a farm surrounded by hardworking men and women and we learned an appreciation for honest, hard work. No one I know would find this fashion trend to be acceptable in any way. Most folks who have jobs that get them this dirty want nothing more than to get home scrub up in the shower and put on fresh, clean clothes as a reward for that hard work. My father wouldn't have sat at our dinner table looking like that let alone have gone out to a restaurant or a movie. He would have considered it disrespectful to himself and to others. I'm assuming if you are spending $425 on these jeans, you would wear them anywhere. I find it disrespectful to socialize looking like this and hope folks have more sense than to buy into this fad. Hi Amy, I loved your comment on the Fake Mud Jeans post. It's nice hearing your perspective having grown up on the farm. Your father sounds like a wonderful man! Thank you to you and everyone who commented. I would love to hear your thoughts on today's discussion topics. Have you ever been in a group of peers and felt uncomfortable with their behavior? What did you learn from it? Where do you struggle with routines in your home life? What are your successes with routines? Let me know and your comment could be chosen as comment of the week on The Daily Connoisseur! If you have any questions you'd like to submit for a future reader Q&A, you may leave a comment here, or email me privately via my author website. Please note: due to the large volume of emails I receive, I am not always able to respond. I do read every email and appreciate every one! I am happy to announce that we will be doing an E.F. Benson book club on The Daily Connoisseur. 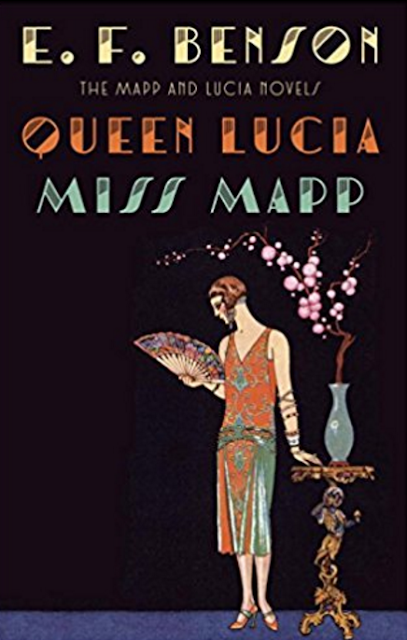 We will be starting with the first two books in the Mapp & Lucia series, Queen Lucia and Miss Mapp. We will start the book club at the end of June, giving you plenty of time to read the books. They are readily available and can often be found for free on the kindle or other eReaders. You can always check your local library as well for the books. Here are some easy links to the books on Amazon:Queen Lucia and Miss Mapp paperback, On the kindle (99cents), Queen Lucia on audible , Miss Mapp on audible. Thank you and I look forward to delving into this great series with you! In today's Teatime with Jennifer, I'm sipping sweet iced tea and discussing the Fake Mud Jeans that have gone viral this week. Now that is a sentence I never thought I'd write! What are Fake Mud Jeans ? Made by brand PRPS, Fake Mud Jeans sell for $425 and, according to the description from Nordstrom, are heavily distressed medium-blue denim jeans in a comfortable straight-leg fit embody rugged, Americana workwear that's seen some hard-working action with a crackled, caked-on muddy coating that shows you're not afraid to get down and dirty. Just like we have become accustomed to ripped jeans, and sheer yoga pants, are we being conditioned to accept muddy clothes as everyday fashion? How are these jeans a commentary on our virtual reality society, where we like to appear as though we do something, without actually doing it? How far will the bounds of casual dressing go? 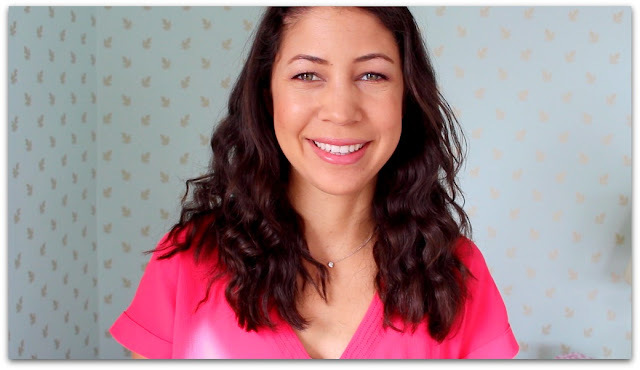 All of these topics and more are discussed in this week's Teatime with Jennifer video. The Czech translation of the Madame Chic books are in a box set, as shown here from Mlada Fronta on Instagram..
Poise in arguments in so hard, but I agree that you can improve with practice. Some people really like drama, and if you respond heatedly the situation will continue to escalate. Staying calm takes a lot of the fun out of it for them. And for those who are genuinely upset, staying calm can help them have a conversation instead of an argument. One thing I've found that helped with my kids is taking a breath and pausing to say their name before responding. This helped me not blurt out the harsher words I was thinking, and the small pause and calm response can (sometimes) help diffuse the situation. Hi Anna, I really like your advice of saying your child's name before responding to their bad behavior. Now, I just need to work on not sounding angry while saying their name! Ha! Thank you to you and everyone for your wonderful comments on the Q&A posts. Today, I would love to know what you think of Nordstrom's Fake Mud Jeans. What do you think these jeans say about our society right now? Please let me know and your comment could be chosen as comment of the week on The Daily Connoisseur. I will see you on Thursday for part 3 of reader Q&As. See you then!